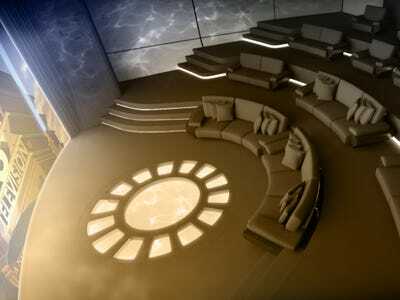 The mystery owner of the world’s new largest sailing superyacht will also have the first IMAX Private Theatre at sea. The ambitious project is part of a collaboration between legendary superyacht designer Ken Freivokh and yacht communications purveyor Yacht Intelligence. 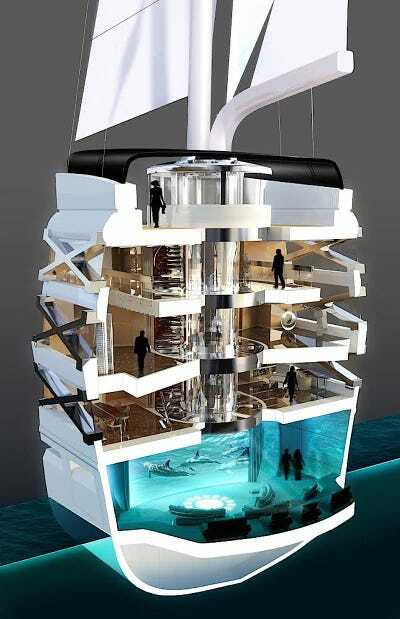 The theatre is in lowest part of the ship, charmingly called the Nemo Room. 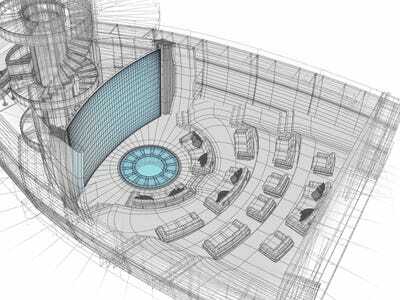 Everything has been considered down to the most minute detail, from the shape of the room to the position of the furniture for a truly authentic IMAX experience. 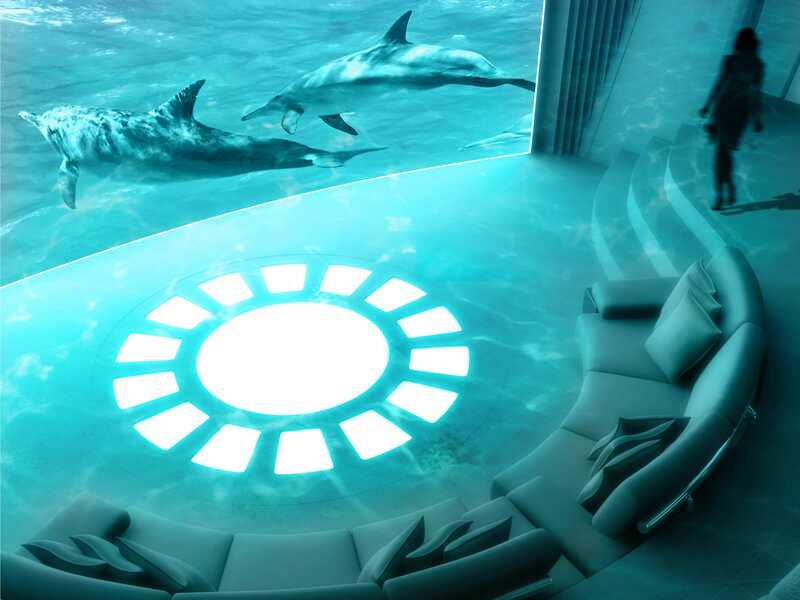 Nothing about the Nemo Room is your typical superyacht screening room. The trademark IMAX dual 4k projection screen isn’t just for Hollywood movies, either. It will also use the ship’s live underwater CCTV footage to spy on the sea critters underneath and around the 492-foot yacht, projecting it onto the big screen. Ken Freivokh DesignsThe room was designed from scratch for the optimal IMAX experience. Building the room wasn’t an easy feat, either. The complicated IMAX system uses calibration sensors and equipment that were quite difficult to fit into the oddly shaped ship’s hull, but perhaps the most difficult obstacle to overcome was getting the IMAX corporation to work within the ship’s relatively tiny space. “With IMAX’s strict parameters and incredibly specific technological requirements, our first challenge was to persuade them to take us seriously, and prove that it would be possible to create a truly unique private theatre on a superyacht,”Alan Bernardi, founder of Yacht Intelligence, told Forbes. Another complication was figuring out how to download the huge IMAX files over a satellite Internet connection. Ken Freivokh DesignsEven the room’s furniture was placed for optimal acoustics. No word yet on when the superyacht will be finished or who the mystery owner will be, but the project is sure to look incredible. Take a final look at the yacht’s floor plan below. Ken Freivokh DesignsThis is a game changer for yacht owners.